Like everything in life, we all want to improve and better ourselves continually. You want to be the best in your industry, and that requires work. If you lack a basic SEO strategy in your business operations, it’s time to start making moves. SEO building begins with business owners. Reliable rankings increase chances for success. Who does not want success? Startups, small, and local businesses all need SEO to thrive online. Even established Fortune 500 companies rely on SEO to survive on the web, lest their competitors eventually overtake them. Think of SEO as a long-term investment. SEO requires work and does not happen overnight, but the results can bump companies to Google’s top results. Let’s talk about you how can flex those mental muscles by taking you through some SEO basics. Search Engine Optimization (SEO) does not require an advanced physics degree. SEO requires marketing teams to think strategically. Before looking at the big picture though, start small. Ready to embark on an SEO journey with us? The terms, “less is more,” and “quality over quantity,” both refer to uneven distribution. Speaking from an SEO perspective, exerting 20% effort will reap 80% benefits. A little bit of work goes a long way. Thinking like Pareto, plant some SEO seeds and search results will flourish. If you want to see improved search results, you must start at the beginning – your website. 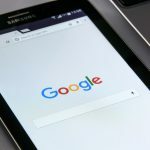 Despite what some may believe, social media profiles will not launch you to the top of Google’s Search Engine Results Page (SERP). A business must invest in a well-designed website, especially since launching a new website isn’t too difficult. Third-party companies now provide domain and site hosting services, simplifying site maintenance. Moreover, website software assists in making web design more feasible through Content Management Systems (CMS). An important factor in choosing a CMS should be compatibility with search engines. WordPress, the most popular CMS does not offer building services but works well on Google. Is WordPress not up your alley? No problem! The search engine giant also partners with other CMS choices, such as Wix, Weebly, Shopify, Squarespace, Magento, and Blogger. Other considerations while choosing a CMS include service costs, website speed, space, and reliability. Remember the 80/20 rule? A small percentage of technical thinking will strengthen or optimize your search result presence. In different areas of the world, similar items carry different terminology. Take Coca-Cola for instance. Some places refer to it as soda or simply Coke. Others, however, may call it pop or cola. Your customers’ language needs a presence in your content, otherwise, how will they discover your web pages on the web? Choosing the correct words will improve ranking in organic search results. Moreover, levels of linguistic comfort make customers more likely to reach out. Begin by brainstorming a list of keywords your business wants to see rank for on the web. Assess crucial components of your business. Small companies typically offer services and products. If more than one location exists, each site needs to be optimized. Take keywords and create your seed list. Pareto planted 20% of seeds, and his entire garden flourished. With plenty of free resources available, researching keyword options gives a broader understanding of keyword depth and value. This essential step in your SEO campaign will help you identify keywords or phrases with low competition, as well as synonymous phrases you can use if a keyword proves too competitive. You’re not alone during the research phase. Google will lend a helping hand by offering keyword suggestions at the bottom of the results pages. Google even shows competitors’ keywords and optimization strategy. Google also offers Google Ads and Google Marketing Platform. Google Ads provides the most popular, highly rated tool known as Google Keyword Planner. With a Google Ads account, you can access this free tool. You may be solid with SEO or just starting out. Google describes it as “a workshop for building new search network campaigns.” Google Keyword Planner assists in showing competitive bids and budgets to use in paid advertising campaigns Google displays the level of difficulty, ranking, and dimension based on location. Google Ads also shows CPCs (costs per click). Keywords offered at a higher price tend to attract more competition. Chrome users have a browser extension available, Keywords Everywhere. This feature provides a range of keyword suggestions and shows search depth by country. By examining current local trends, this insight gives advantageous gains. As behavior shifts, businesses need to adapt and innovate. With paid programs, some offer free trials that can be a cost-effective advantage. Well-known tools include SEMrush, Wordstream, Ahrefs, Longtail Pro, KWFinder, SpyFU, and SERPSTAT. Free offers only last one to two weeks so activate accordingly. Sensible and relatable keyword groups expand and add value to your products and services. An example would be a locksmith. The word “locksmith,” does not grip someone. When in need of a locksmith, it may be a tense experience and off hours. Grouping keywords benefit both the business and customer. Keyword grouping spans across additional words, or phrases searchers may type into a search engine. Reinforce keyword grouping by including them in your landing page’s URL. A few extra words add value and reassurance with Google, thereby facilitating ranking opportunities and customer expansion. Have you ever encountered a website that was simply too difficult to navigate? You probably felt frustrated and left before you could find what you were looking for. No one wants to spend time sifting through perplexing content. Presenting clear paths of material allow visitors to retrieve information quickly. Drop down menus burden users and affect search results. Recommended navigation consists of six to seven pages. This way, your website will not overbear visitors and presents a clean look, optimizing search results. Page titles containing generic words such as photos or videos appear vague, potentially losing a visitor. Add more descriptive keywords to your sites’ pages to showcase your business. For example, “Video Testimonials” indicate what the page presents. With adding distinct URLs, you can maximize CTRs. For any small business, the Home Page should be a summary of the services and products offered. Location and contact information should also be included to strengthen your Local SEO results. With individuals self-branding now, companies more than ever need to implement their brand and identity. Be sure to always mention your company’s name with your products or services. Think of a catchy tagline and use hashtags in your blog to bolster your SEO. Have fun and personable. Sounding technical or robotic will not connect with customers. Branding your business costs 20% effort and pays 80% dividends! Online Branding, also known as, Authority Building may present difficulty. Your business’ likes must contain pertinent business information and descriptive pages. Meta descriptions have no direct impact on search ranking. Instead, this element helps improve a user’s experience. Meta descriptions refer to tags or additional words included in your site’s HTML. Despite sometimes going unnoticed, Meta descriptions play a significant role in marketing campaigns. Meta descriptions sit underneath results on a SERP. 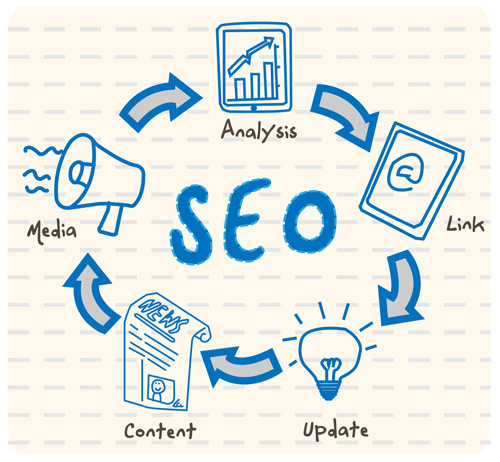 One or two sentences in your SEO description gives you a chance to speak directly to searchers! You choose what to write, and Meta descriptions can generate clicks! Prime real estate exists with Meta descriptions. While creating Meta descriptions, remember to reinforce your brand and message. The search engine platform becomes your stage. Showcase your company during any phase of your business. No matter the size of your company, this can yield tremendous results. Header Tags title your content. Headers range hierarchically with Header One being the most prominent title and Header Two taking the place of a subtitle. Larger fonts draw attention to the body context on a page. Adding images gives visuals to searchers. Google Images appear in results and allows an extra opportunity for optimization. Local SEO assists with local business rank. Do you remember old phone books with yellow pages in the back? Think of Local SEO as the modern, digital version of an old paper phone book. Placing your business listing comes at no cost. GMB bolsters your business’ visibility in Google Maps and the local community. Any relevant business information gets submitted to this directory. Items to include; business category, hours of operation, contact information, website address, photos, and updates to keep your audience in the know. Reviews of your business will appear, along with posts featuring your company, giving users an opportunity to contact your company with one click. If more than one location exists, each site needs a GMB listing. Citations serve as an online reference guide. Your businesses’ NAP (name, address, and phone number) gets included in citations Google uses. Citations differ from keywords and Meta descriptions. Links to business sites do not need to be added to get credit. Citations mention your business information, optimizing your presence. 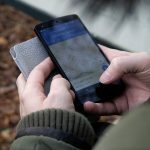 We see citations in location-based apps, such as Yelp, when we search for the best restaurants nearby. We encounter citations on websites, social networks, and directories. Identifying the top local citation sites assists in assessing your Local SEO. Top directories include Facebook, Apple Maps, Bing, and Google to name the top four. Searching directories on Google will show valid indexes. By adding your business site to directories results in higher SEO ranking and visibility. Customer behaviors involve Internet searches. Head over to your Google My Business listing to see what information appears, adding awareness and making your business better. Building key relationships are fundamental and expand your audience reach. Stakeholders, an essential asset in business operations, prove vital. Exerting 20% of these efforts helps your business grow. Partner with businesses and suppliers to link one another’s site. Donate to local charities or sponsor community events. Guest post, such as writing a blog, for a site in your industry or business. Connect with other professional organizations through social media. Supply biographies, testimonials, and reviews of your suppliers or business partners. If you find yourself overwhelmed with SEO strategy or do not know where to start, we are here to help. You may be busy with your business and will find it difficult to find the time to exert the 20% effort; we are here for you! Perhaps, you need assistance with driving more results. Do not worry; we got you covered! Contact the SEO Experts at Premiere Creative. We strive to give you a better understanding and help stay ahead of local businesses. We will see to it that your SEO gets built strategically and that your SEO standing stays strong! Google us at Premiere Creative, and you will see proof. We know a thing about SEO. We pride ourselves on making local businesses successful!